As a top-rated Ghana web design company and the best among any top ten list of web development companies in Ghana, Our team continues to assist companies boost their businesses online by providing customized website design and digital marketing services tailored to meet client objectives effectively and increase revenue. Take a look at our case studies for a preview of the quality results we deliver to our clients. Renowned to be the best of the best web design companies in Ghana, our team of web designers and web developers are privileged to work with some of the best brands and companies in Ghana. From startup companies to award-winning clients, our website design company helps businesses with professional responsive websites that are designed with usability and performance in mind, guaranteed to affect the bottom line. We help convert visitors into leads and customers by building your business website with proven standards and technologies. We just do not decorate, we design with a purpose in mind. With a plethora of service offering in your industry, we engage strategic thinking to bring your vision to life so as to position your brand above the competition. A well-executed creative logo design, website design, brochure and other marketing collaterals can elevate your brand and position your company in a more purposeful way. Searching for an ecommerce web design company in Ghana? We design and build fully functional ecommerce websites. Our Developers work with you to setup your online store, products, product images, product categories, integrate online payment gateways, order management and implement secure transaction layers that has the best eCommerce User experience. The best website professionally designed for your is not enough. To succeed online you need both a beautiful website and an online marketing strategy that works. From concept to marketing, we offer a fully integrated end-to-end online marketing services that helps to connect you with your customers. From search engine optimization (SEO), email marketing to social media marketing, we help drive qualified traffic to your website by ensuring that you rank high in online searches for your products and services. website design company for their websites. With a modern and professionally designed website developed for your corporate business, you don't just own a website but a thriving business. It enables business growth online, higher customer acquisition, increase in revenue and build customer trust and credibility. Bayswater with offices in Sekondi-Takoradi and Accra Ghana wanted a new corporate website designed and developed that would help establish her brand and represent a professional corporate image to its clients and prospects. Kava Media’s strategic, technical, SEO, design and development expertise was brought to the scene to make this happen. Let’s collaborate and grow your business together. Banking and Finance Institutions in Ghana provide a wide array of financial services to its broad customer base. Among these are Entrepreneurs, Doctors, Civil workers, Teachers, Market women, Business Owners, Students, etc. The Automated Teller Machine (ATM) is a convenient way customers access their money. Kava was approached by a number of banks to redesign their ATM User Interface and Experience. Insights from user research and stakeholder interviews enabled Kava to design modern UI/UX for the ATMs that was in line with their brand strategy providing an integrated brand experience for its clients. Given a list of affordable and premium website development companies in Ghana, how do you find the best company for a project that must not fail? We were found to be the best reputable web firm with proven track record to work with. 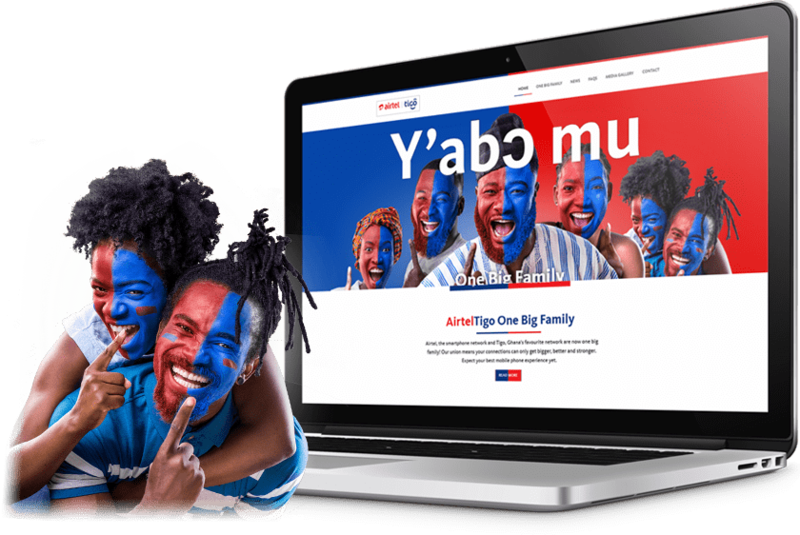 Allied Ghana was re-branding to position itself as one of the leading oil marketing companies in Ghana and needed a redesigned website to reflect its new brand. After planning out their new navigation, user flows and design, our team built a custom website that best represent their brand. With clear understanding of customer and user needs, we translated the need into an innovative website that is user-centric and functional. We provide affordable website design for small and medium-sized enterprises in Ghana. The best part is you get to have a very quality and professional website for your company far beyond what the competition offers. That is what happened to the HR Company located in Tema, Ghana. Dissatisfied with its current website, she turned to Google looking for a good website design company in Ghana to revamp their image online. Having checked a list of web design companies, they opted to partner with us due to our level of professionalism and exceptional customer service. 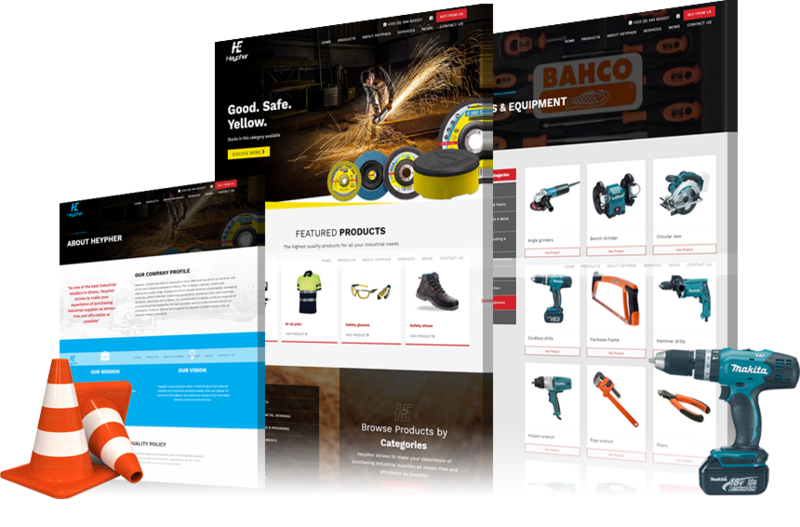 The resulting website with simple navigation, compelling copy, intuitive website hierarchy and responsive design gave a satisfactory impression with the client. De Simone Group is one of the leading building and construction companies in Ghana and West Africa. De Simone approached us with the intention of refreshing their website to reinforce its brand and highlight many of its construction projects. 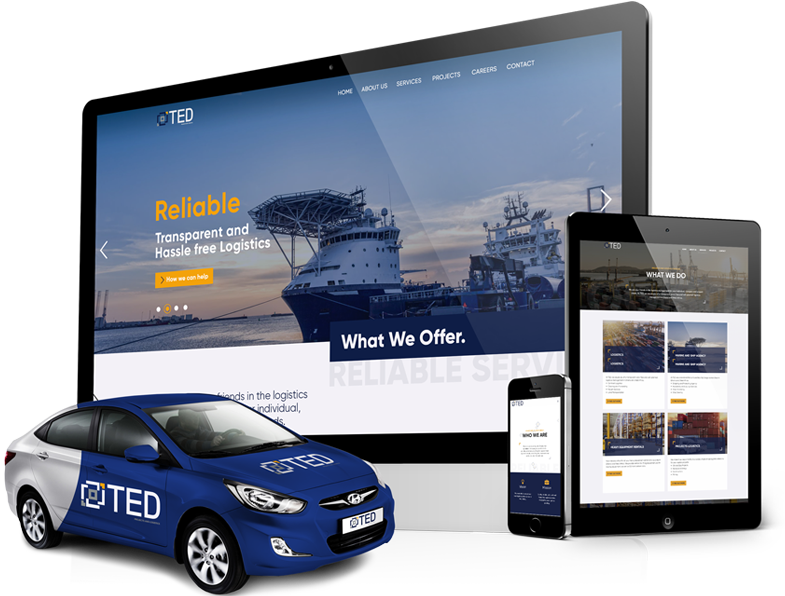 We provided a responsive corporate website design and development, graphic design and branding touch points such as email signatures and a company profile brochure. BEIGE was not happy with its website that was based on a web template. We designed and developed a custom branded professional website (with the tools above) that excels in simplicity and usability. As a creative web design agency based in Ghana, we've built the reputation of creating award-winning website design. We offer one stop creative and digital solutions for corporate bodies including branding, logo design and websites. Over the last 8 years we've built all types of websites - blog sites, business websites, Job boards sites, Multilingual Websites, School or College Websites, Informational Websites, Online Business Brochure/Catalog sites, Directory Websites and E-Commerce websites. We work with a wide range of interesting clients in major cities in Ghana including Kumasi, Cape Coast, Tamale, Greater Accra etc., whom we have produced effective and beautifully designed websites for. Where ever you are located in Ghana, we can work with you remotely, even if deep inside the Kakum National Park rainforest. TT Company a startup in the northern region of Ghana was looking for a company to design its brand identity and website. Having found us to be a reputable company, TT enlisted our web design company for its branding and website development exercises and they were glad they did. The primary goal of Manna Mission Inc. is to pursue an effective evangelistic program that incorporates the provision of compassionate medical care and strategic community development. Manna Misson Inc. was seeking to have an exciting website redesign with focus on quality UI and UX.The creative design team at Kava delivered a high quality finished project which addressed the challenges of their previous website and also gave it a memorable digital experience. Custom Web Design or Website Templates? A&G have had its previous website built with a website template and that didn't represent their brand very well, so they'll have none of that be it website template or theme customization in their website redesign project. Apart from having a custom website designed and professionally developed for its brand, other website concerns were improving the overall user experience, search engine ranking, having an easy-to-use CMS (Wordpress) and creating a mobile-friendly website to serve its customers better. Finding the right partner to help make this a reality was key. Our rich and extensive internet experience in helping businesses improve their online presence was brought on the scene to make this happen. Kava Media is known to offer website design and digital marketing services proven to build patient trust in the healthcare industry. Your hospital website is your patient's first online resort for information and your online home to potential patients. It must be attractive, accessible and available at all times. Your hospital website should have a clear content strategy and optimized with content aimed at the various targeted audience to bring in qualified traffic and increase high conversion rates. Kava Media's medical and healthcare industry websites lay the foundation for all these plus building a device-agnostic experiences through responsive web design. We offer ongoing digital marketing and social media engagement services to help with patients retention as well as establish and reinforce your brand identity online. 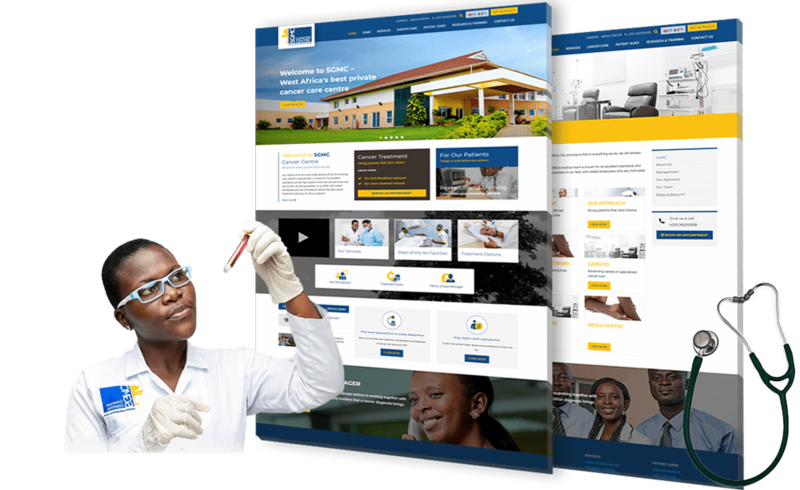 Looking to working with the best web design company in Accra for your hospital website, get in touch and you will be glad you did. Your website is an online catalog for your clothing line business. 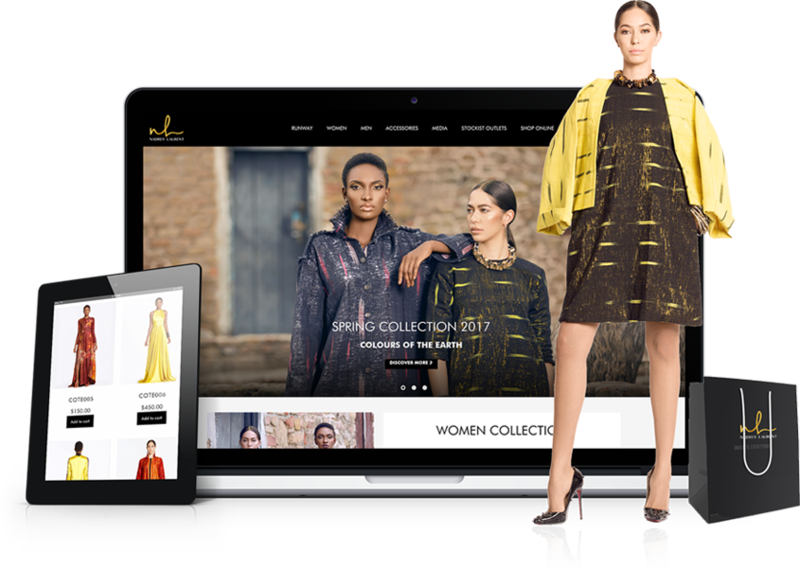 Whether you’re just getting started or are an established brand, our eCommerce solutions for fashion and clothing businesses can be a key differentiator to set your clothing store apart from other online stores and close more sales. From startups to renowned fashion and clothing lines in West Africa, Kava Media’s powerful online store platforms helps you easily organize your products with tags, categories and sorting. The flexible payments options are fast and convenient for a wide range of customers in Ghana and those in diaspora. Accept major credit card payments or mobile money payments through your store. Kava Media offers a unique blend of strategy, design, development and digital marketing expertise to create a strong digital presence for your business. Whether you’re just starting out and you need to grow your logistics company, or you run a successful projects and logistics firm and you’re looking to supplement your marketing efforts, our web design and digital marketing services will help you get your website online so you can focus on your goals at hand. Explore our portfolio of company websites design and redesigns, and contact us to discuss your needs. Energy companies have unique digital needs and Kava Media has the expertise and experience to power their success. We provide you with a range of services and expertise as a leading services provider in the oil and gas industry. From crafting a compelling and professional logo to designing and launching your website and everything that comes with digital marketing, Kava solutions powers a number of Energy companies in Ghana. 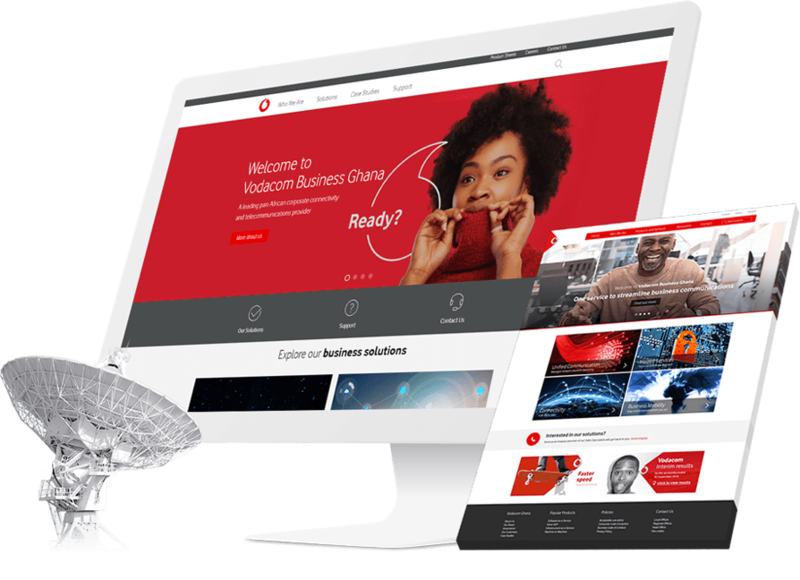 Should you choose us as your digital services provider, you'll be working directly with a leading web design and graphic design company in Accra Ghana. What ever digital requirements you need, we've got you covered! For almost 10 years, we've been driving the successes of key clients in the oil and gas and energy sectors. Let Kava Media be your digital and technology services partner to help give you the needed transformation you desire in your quest to succeed online. Our creative design and development has contributed to the successes of credit unions, micro finance companies, savings and loans, rural banks, insurance companies, banks and other financial institutions. We don't outsource your work to third parties or use a one fit all solution. We are real people with real undying passion for design and technology to solve real problems for your digital transformation and success. Kava Media provides superb communication, attention to detail and best digital solutions tailored to your brief to give your telecommunication business an advantage in the competitive landscape. We prefer not to use the DIY web softwares or platforms like Squarespace, Weebly, Wix, Webflow etc. where feasible. Looking for high quality digital work, reliable project management and timely delivery? Contact us. Kava Media is the go-to digital agency for insurance nationwide looking for digital marketing solutions and website redesign. If you are looking for a credible insurance website design company, do not hesitate to contact Kava to discuss your custom needs. Do not forget to explore some our website redesign works. Kava Media continues to churches establish their online presence and reach through innovative and engaging church websites that keeps their members and visitors. From logos to colors we apply the church’s brand to the creative design process resulting in a website is truly reflect them. We’re able to carefully craft designs that just resonates with the members while presenting the church’s objectives or goals of having a website. A content management system that is mobile user friendly provides the luxury making updates, news, announcements and more on the website without limits. All you need for your church website; web design and development, domain name registration, web hosting, social media marketing and online streaming. Great experience with amazing talented designers. We've been with Kava for more than 4 years and one thing you can't take away from them is their non stop learning. After 2 years of going live with our previous website, technology had improved and so they approached us to revamp our site to make it more responsive and engaging with the latest technologies and oh mine we're glad we heeded. We are so happy with our newly custom redesigned website by Kava. We had a refreshing experience with the entire Kava team. The website flows better as far as giving it more of a modern look and feel. As a result of our new beautiful and impressive website we have potential partners calling us from all over the world and we owe it to the splendid collaboration with the creative talents at Kava. They also helped with SEO and now we get more calls from potential customers. They are the crème de la crème when it comes web design in Ghana and we would unequivocally recommend them to any business or entrepreneur. I was looking around for a good web design company until I bumped into Kava’s website. They really had some good works in their portfolio so I settled with them as my choice web design company. I needed to have a strong brand and website for my startup company to reflect the scope of services and industry I’ll be playing in. Kava’s creative team is amazing. They have so much insight about the industry and therefore was able to help me build a great brand and a unique website that stands out in the competitive landscape. As a startup company, with their SEO prowess they optimized our company’s website to help drive traffic by improving keyword rankings in search engines. Their ability to understand our needs, made a seamless process to bring our concept to reality. Now we have an exciting brand, logo and website that we’re proud off. Thanks to the creative team at Kava. We highly recommend them. Working with Kava is awesome! Working with the Kava team has been awesome. Giving them the opportunity to be the firm that was going to design our website was a great choice. They did our first website and when we needed to redesign, we contacted them again and they did a great job. The end product nadreylaurent.com exceeded our expectations and perfectly matches our brand and our brand promise of luxury. The overall customer experience is great and we have an ongoing relationship with them. We definitely recommend working with them. Nice company and great to work with. We had earlier contacted Kava to do an audit on our website for a redesign and their findings were superb so we hired them. We're sometimes tough to work with but Kava had the patience and gave us the support we needed to finish the project. Our new website designed by Kava puts us far ahead of our competitors in the agric industry and that's a perfect fit for us as industry leaders in agriculture and farming. We're proud of our brand and now we get to be proud of our website too! Fantastic! The website really matches our brand and values. I've worked with a lot of web design agencies and I'll always recommend Kava first. Great job guys! Keep it up. A modern web company to partner with! In our effort of re-branding our cancer care centre, we needed a fresh and modern website that would reinforce our brand and also serve as the first online resource for our patients with intuitive design and engagement. The website Kava delivered addressed these concerns and has an efficient and effective multilingual content management system tailored to our needs, allowing us to quickly update our services and patient guide information. If you're an ambitious brand and looking to working with a modern web design agency look no further. Website Design Companies in Ghana, why the theft? Our design and development teams never stop learning. We do not do things the same way every time. We are committed to continuous learning and improvement to better solve complex challenges for our clients with measurable results. We work with you side by side to create modern and exceptional solutions for your businesses. From concept to marketing, branding, logo design, website design, online stores, web hosting and everything in between, Kava offers a one-stop full service to an international client base across multiple industries. If you're searching for the best web design company in Ghana for your company's website then you're in for a rough ride. As a top design agency, we've handled numerous projects where the clients were disatisfied with the so-called best firms. We've put together a handy guide that you can find useful for a quick overview on how to find the best web designer for your firm. If you're searching for the best web design company in Ghana for your company's website then you're in for a tough show. This is because a plethora of web design companies in Ghana especially in the city of Accra are parading themselves as the best or leading companies in the industry. But there's hope keep reading. If you're like most companies they want a fully integrated end-to-end services including consulting, web design, strategy, design, development, security, optimization, seo, ppc, social media and support. So firstly, you must have clear objectives for getting a website and amidst the myriad of website designers or web development companies, you'll going to maneuver through to get the best choice with whom you'll get the highest conversion rates and best marketing results in the industry for your business website. Remember that choosing a website company for your firm is a critical decision so you must take the time and do it right. Entrusting your project into their hands means you're trusting your business to them. First, you'll need to get a list of web design agencies to consider in your quest through search engines like Google or Bing. It is best you limit your search to local businesses in your country or city where applicable. Now based on the most popular searches at the time of this writing you can try any of the following search queries in helping us getting the list that is if you based out of Accra Ghana otherwise substitute with your city or country name. "web design companies in ghana", "best web design companies in ghana", "website design companies in accra". This query list is largely influenced by what users who intent to find web design companies are searching for so you'd want to research or tweak further based on your location. With this list you're going to scan through the results to pick the web design company's or web design freelancer's name, website, phone number and address or office location. You can't possibly compile an exhaustive list of web development companies in ghana. So you are going to have to limit yourself to quite a handful of them. Alternatively, you can look at any of the local business services directory for the list of web designers in your city or country for examble by seaching for the best web design companies in ghana. c. Do they have a qualified team and specialized experts? d. How do they measure their results? e. How is their customer experience like? Caution: you must try to avoid very cheap website design companies because in the end you get what you paid for. Actually call the client or email the client to ascertain the information you've gathered. Send them a brief of your requirements or a request for proposal and review them for the various reasons above and against your objectives of having the website.